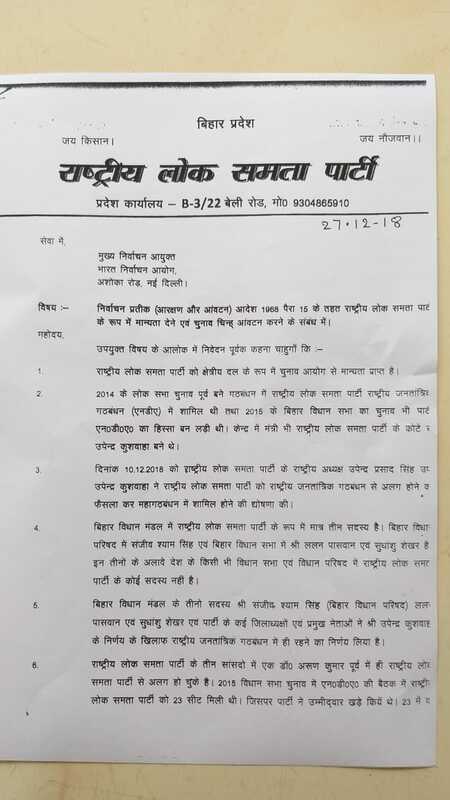 Two RLSP MLAs and an MLC have opposed Kushwaha's decision to break off ties with the NDA and written to EC claiming control over the party. 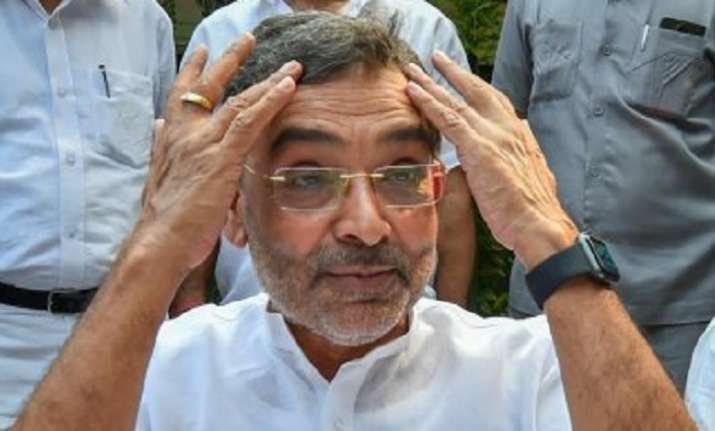 Days after former Union Minister Upendra Kushwaha decided that his Rashtriya Lok Samta Party (RLSP) will not be part of the ruling Bharatiya Janata Party (BJP)-led National Democratic Alliance (NDA), he is facing an unprecedented revolt from Bihar legislatures. Two RLSP MLAs and an MLC have opposed Kushwaha's decision to break off ties with the NDA. The three lawmakers have also written to the Election Commission claiming control over RLSP and requested the central poll panel to award the party symbol - Ceiling Fan - to them. MLAs Sudhanshu Shekhar and Lalan Paswan and MLC Sanjiv Singh Shyam had accused Upendra Kushwaha of ditching the NDA for 'personal gains'. Lalan Paswan, launched a scathing attack on Kushwaha, has recently described him incapable of managing two MLAs and an MP. RLSP lawmakers have written to Election Commission claiming control over party. "Kushwaha calls Nitish Kumar his elder brother and yet has all sorts of problems with the latter. He, however, feels no discomfort in paying obeisance to RJD leader Tejashwi Yadav," Paswan, who was suspended from the RLSP two years ago, said. Paswan had joined a parallel outfit floated by rebel Jehanabad MP Arun Kumar, but technically continues to be an MLA of Kushwaha's party. The RLSP had contested the 2014 Lok Sabha election and 2015 Bihar assembly election as an NDA member. The party has three parliamentarians, including Upendra Kushwaha, two MLAs and one MLC from Bihar.